Sarah’s Promise is a high energy hard rock band out of San Diego, CA that provides high energy shows with screaming guitars, pumping bass, and thunderous drums, as well as a strong and active stage presence. Formed in 2010, Sarah’s Promise consists of John Ivicevic (Lead vocals and guitar) Brian Hayman (Bass and back up vocals) Tony Casillas (Drums) and Jason Bushong (Lead and rhythm guitar) and have recently just finished their second CD Burn Back Bright. After finishing their first CD self titled Sarah’s Promise, they quickly set out working on Burn Back Bright while playing the music scene in Southern California. 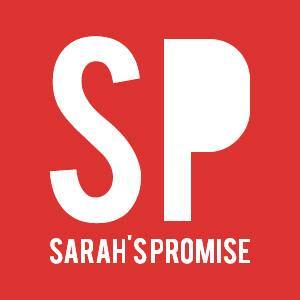 Sarah’s Promise is receiving consistent radio play through various internet and college radio stations around the country and has just released their video on YouTube for their single Separated. Burn Back Bright is a cutting edge rock album with a positive vibe, dishing out heavy influences from the great rock albums of yesterday and today. This album has momentum that never stops and continually pulls you deeper from one track to the next and matches the intensity of their onstage performances. Sarah’s Promise is a promise to rock. Once you hear it, you’ll believe it. And once you see them, you won’t forget it. Burn Back Bright is available on iTunes and CD Baby. Follow Sarah’s Promise on Facebook and Twitter.